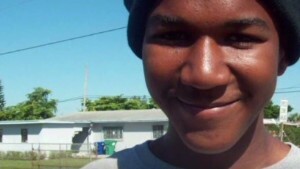 (Codewit) — George Zimmerman "didn't do anything unlawful" and was "justified" in shooting 17-year-old Trayvon Martin, according to one of the jurors who acquitted Zimmerman. The woman, known as Juror B37, spoke exclusively to CNN's "Anderson Cooper 360." Part 1 of the interview aired Monday, and part 2 aired Tuesday night. Shortly after the interview segment Tuesday, four other jurors released a statement responding to her comments. "We, the undersigned jurors, understand there is a great deal of interest in this case. But we ask you to remember that we are not public officials and we did not invite this type of attention into our lives," they said. "We also wish to point out that the opinions of Juror B37, expressed on the Anderson Cooper show were her own, and not in any way representative of the jurors listed below." The jurors identified themselves only by their jury pool numbers. Juror B37 told CNN she wanted to find Zimmerman guilty of "not using his senses," but that "you can't charge him with anything because he didn't do anything unlawful." She said Zimmerman "started the ball rolling" and could have avoided the situation by staying in his car. "But he wanted to do good. I think he had good in his heart, he just went overboard," the juror said. Asked later whether she thought Zimmerman was within his rights, she was unequivocal: "He was justified in shooting Trayvon Martin." The woman was part of a six-person, all-female jury that found Zimmerman not guilty. As the first juror to speak about the case, she offered insight into what happened behind closed doors. The jury was initially split — three and three along the line of guilt — she said. Juror B37 was among those who believed Zimmerman was not guilty from the start. There was one holdout, the juror said. "She wanted to find him guilty of something, but couldn't because of the way the law is written. He wasn't responsible for negligible things that he had done leading up to that point," she said, stressing that she and the other jurors took their responsibility seriously. "I don't want people to think that we didn't think about this, and we didn't care about Trayvon Martin, because we did. We're very sad that it happened to him," she said. The juror said she cried after the verdict and before it was read. At one point during the interview, she struggled to speak as her voice cracked. To Martin's parents, the juror said she would tell them that she is terribly sorry for their loss. "I feel bad that we can't give them the verdict that they wanted, but legally, we could not do that," she said. Her emotion was echoed in the statement from the four other jurors. "The death of a teenager weighed heavily on our hearts, but in the end we did what the law required us to do," they said. Just as she believes Zimmerman was guilty of not using common sense, Juror B37 thinks Martin was not without fault. "I believe he played a huge role in his death," she said about the teenager. "He could have … When George confronted him, and he could have walked away and gone home. He didn't have to do whatever he did and come back and be in a fight," she said. The juror had no doubt that Zimmerman feared for his life. She said she didn't have a strong impression of Martin. "All we really heard about Trayvon was the phone call that he had, and the evidence they had found on him. We basically had no information what kind of a boy Trayvon was, what he did. We knew where he went to school and that was pretty much about it, and he lived in Miami," she said. Asked about what role race might have played in the trial, which grew into a national debate about gun laws and race in America, the juror said it did not matter. Zimmerman did not target Martin, who was African-American, because of the color of his skin, she said. The juror believes he profiled him because of the suspicious way he acted. "I don't think race had anything to do with this trial. I mean just because he was black and George was Spanish or Puerto Rican, I don't think it had anything to do with this trial. But I think people are looking for things to make race play a part," the juror said. She added that she hopes Zimmerman will be able to move on. "I hope he gets some peace," she said. "I hope his family can live a normal life after a while. I don't know how he's ever gonna do that, but I hope he can. He'll never forget, but I hope he can."